It is well documented that elevated blood pressure, hyperglycemia and low-density lipoprotein cholesterol (LDL-C) abnormalities are vital contributors to the risk of CVD in individuals with diabetes [6–8]. Several meta-analyses and reviews have highlighted the relationship between TG level, and risk of CVD among the general population, an increase in the TG concentration is exposed to the higher risk of CVD events [9–11]. However, the association of elevated TG level and the risk of CVD in type 2 diabetic population is still not conclusive. Some studies found that there is no association between TG and the risk of CVD among T2DM [12, 13], whereas some studies found the higher rate of CVD incidence in diabetic individuals [14, 15]. In randomized trials, patients used medications that reduce triglyceride levels also had different results in CVD risk. Clinical trials of agents that lower TG, specifically fenofibrate and niacin, have failed to demonstrate a reduction in CVD outcomes when administered in addition to appropriate medical therapy [16, 17]. Recent studies of n − 3 fatty acid products have not shown a benefit in patients receiving statin therapy [18–20]. 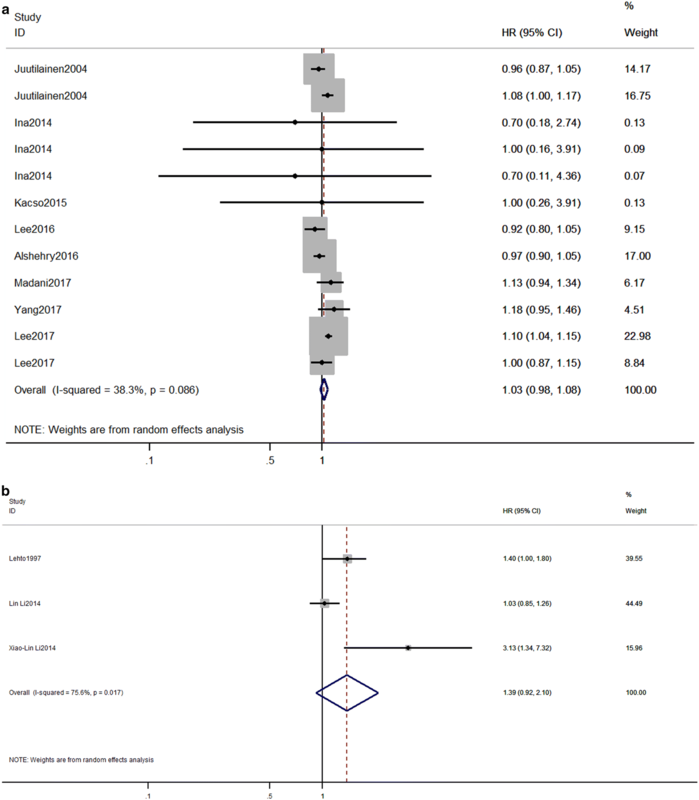 However, the Reduction of Cardiovascular Events with Icosapent Ethyl-Intervention Trial (REDUCE-IT) study indicated that the risk of major ischemic events, including cardiovascular death, was significantly lower with icosapent ethyl compared to placebo in patients with elevated triglyceride levels . Evidence showed a TG involvement in atherogenesis indirectly [41, 42]. The progression of coronary atherosclerosis is powerfully stimulated by interactions between diabetes-associated factors and other factors such as abnormal lipid metabolism , and hypertriglyceridemia involved in these two important factors. Hypertriglyceridemia deteriorates diabetes by impairing the function of β-cell and causing peripheral insulin resistance (IR) . TG overload in islets interferes with glucose metabolism, and the accumulation of metabolites derived from fatty-acid esterification impairs β-cell function [45–47]. The impairment of β-cell function decreases the glucose-induced insulin secretion, resulting in an increased glycemic level in T2DM patients, which significantly increases the risk of cardiovascular disease. Hypertriglyceridemia has a unidirectional relationship with peripheral IR. The metabolites of TG such as free fatty acids, diacylglycerol and others can regulate insulin-signaling pathways through activating several serine/threonine kinases, which suppress insulin receptor and tyrosine phosphorylation of insulin receptor substrates, inducing peripheral IR [48–50]. Many studies have indicated that IR leads to inflammation, altered coagulation and atherosclerosis [51–54]. Furthermore, an independent association between IR and CVD has been reported [55, 56]. TG involves in atherogenesis also by altering LDL-particle size. Some studies indicated that LDL-particle size showed a significantly negative correlation with the serum TG levels [57, 58], this means that when serum TG is elevated, the LDL-particle size became smaller. The Québec Cardiovascular Study demonstrated that patients had LDL-particle size of 25.5 nm or smaller, the CHD incidence increased significantly as the serum LDL-C level increased, while in patients having large LDL-particle sizes of 26.0 nm or greater, no significant difference in CAD events was observed according to the absolute serum LDL-C level . Smaller LDL-particle size showed a powerful atherogenic effect . Moreover, TG involved in atherogenesis by other mechanisms. TG metabolites, i.e., chylomicrons, very low-density lipoprotein, and remnant-like particle cholesterol, which are TG-rich lipoproteins, and, apolipoprotein (apo) C-II, and apo C-III which are involved in the metabolic process, etc., have been demonstrated to be involved in the progression of atherosclerosis . In addition, mounting evidence suggested that TG may stimulate atherogenesis through the production of proinflammatory cytokines, fibrinogen and coagulation factors and impairment of fibrinolysis [60, 61]. However, a series of experimental studies based on alloxan-diabetic rabbits demonstrated that the lipoproteins in the hypertriglyceridemic diabetic rabbits are much larger than in normotriglyceridemic rabbits, and the plasma lipoproteins that contain most of the plasma cholesterol are so large in size (the diameter larger than 75 nm) that they are not able to enter the arterial wall. A reduced aortic cholesterol influx means that the subendothelial macrophages and smooth muscle cells are exposed to relatively small amounts of cholesterol, this probably explains the slow development of atherosclerotic plaques in severely hypertriglyceridemic diabetic rabbits [62–64]. However, these findings did not mean that the very large triglyceride-rich lipoproteins in diabetes are harmless, it means these are less atherogenic than smaller lipoproteins and may partially explain that TG is not an independent risk factor for CVD in diabetes patients. Even in diabetes patients receiving appropriate treatment with statins, a substantial residual cardiovascular risk remains [65–67]. Also, the American Diabetes Association (ADA) recommending TG-lowering as an important secondary target in patients with diabetes . There are different triglyceride-lowering drugs available. Clinically, the drugs that predominantly lower the triglyceride levels are fibrates, fish oils and nicotinic acid. The statins, ezetimibe, proprotein convertase subtilisin/kexin type 9 inhibitors are LDL-cholesterol lowering agents which also reduces the triglycerides level. Besides, there are newer triglyceride-lowering agents currently under evaluation. These novel specific agents for high TG include newer fibrates such as pemafibrate; newer omega-3 FAs such as eicosapentaenoic acid; combined peroxisome proliferator-activated receptor alpha/gamma agonists such as aleglitazar; and new drug classes of apolipoprotein CIII antisense therapies, microsomal triglyceride transfer protein inhibition such as lomitapide, and diacylglycerol acyltransferase inhibitors such as pradigastat; and anti-angiopoietin-like protein 3 or anti-angiopoietin-like protein 4. Furthermore, probiotics and gut microbiome is a new therapeutic modulation for hypertriglyceridemia. Many new TG reducing therapies are in clinical trials. In addition to the REDUCE-IT study, the Outcomes Study to Assess Statin Residual Risk Reduction With EpaNova in High CV Risk Patients With Hypertriglyceridemia (STRENGTH) and the Pemafibrate to Reduce Cardiovascular Outcomes by Reducing Triglycerides In Patients With Diabetes (PROMINENT) studies are ongoing large CV outcomes trials involving high-risk CVD patients, including a large percentage of patients with diabetes, undergoing statin therapy [17, 69–72]. 12933_2019_851_MOESM1_ESM.doc Additional file 1: Figure S1. Flow diagram of study selection. Figure S2. Publication bias for cardiovascular diseases risk per 1 mmol/l triglycerides level increase in type 2 diabetes. Table S1. Characteristics of studies of triglycerides and cardiovascular diseases in individuals with type 2 diabetes mellitus. Table S2. Quality assessments—Newcastle–Ottawa quality assessment scale. Table S3. Subgroup analyses of triglycerides level with cardiovascular diseases risk in individuals with type 2 diabetes mellitus.